Welcome to our new website! We're so happy you stopped by. I hope you take the time to visit all the pages as we'd truly love any feedback you may have. BUT if you don't have too much time make sure to check out our wedding decor rentals Toronto page as we added gorgeous new items including our Gold Florence Chairs and our custom baby blue cutlery. As some of you may know we're all about the details and after countless hours making sure every detail is absolutely perfect, along with our website designer Alex from Boutique Websites, we would love to know your thoughts. 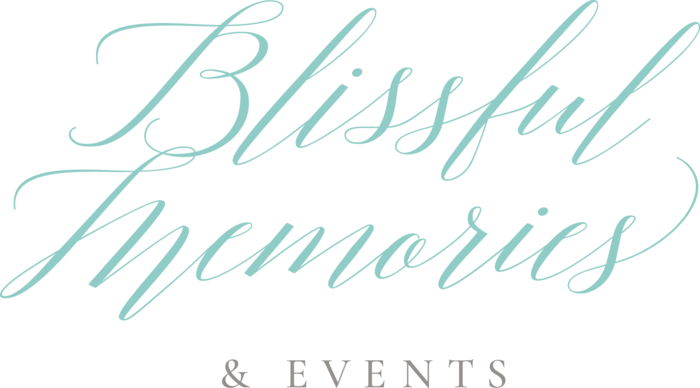 So, grab a glass of bubbly or a cup of coffee and take a look at everything Team Blissful has to offer. A few things about our new site and why we decided it was time for a change. We're all about making our events unique and adding those personal touches, so we wanted our site to reflect just that. Our old site was very pretty, but it was a template, so we just wanted something that was unique and portrayed our brand to the fullest. Something classic, clean and timeless. We wanted to incorporate our brand colours as much as possible without it being too overpowering and in your face. Simple and elegant. A design we would love even years down the road. Having Boutique Websites create our custom design made a huge difference. It started with a fresh new look for our home page, and from then we knew we were going to love everything that came next. Our clients are always our priority, so a must have for our new site was to have a client login so it was easy for them to log into our planning software. Everyone leads a busy life, so any way we could help our clients save time, we're all for it. Another add-on we wanted for our site was a video gallery of past events. Sometimes, pictures just don't do it and people may need a bit more of a visual. Well, having a section where you can see all the BTS to events, or little details our clients/couples added to their celebration, may spark an interest and make you want to do the same. It's just another outlet to show you what goes into an event which is always a good thing. This year we added so many fabulous new wedding decor rentals Toronto to our inventory and we wanted to display them in the best way possible. Our new layout allows you to view the item on its own, and when you click the photo it will enlarge and display all the details at the bottom. Another feature we absolutely love is the slideshow at the top of the gallery page of past events using our decor items. This gives a great visual how our items have been used in the past, sowing their versatility and provide great inspiration for your event. Thanks again for taking the time to check out our new wedding & rentals website. It means the world to us and we hope you love it as much as we do!